When you turn to Sport Auto Group Pre-Owned Sales and Leasing Center, you don’t have to let prior credit history or poor credit stand between you and getting behind the wheel of a high-quality pre-owned vehicle. At our used car dealership in Orlando, FL, we strive to take the stress and hassle out of financing a used car, whether you are credit challenged, have bad credit or no credit at all. We work to match you with a car, truck or SUV that fits your needs on the road and works with your current budget. Come to Sport Auto Group Pre-Owned Sales and Leasing Center and drive home satisfied today! Our used vehicle finance experts are here to help you explore your options, working with you throughout the entire financing process. 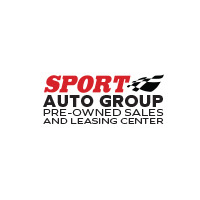 At Sport Auto Group Pre-Owned Sales and Leasing Center, our goal is for everyone to drive off our lot happy with their vehicle and pleased with their payment plan. We work to get you a competitive rate and secure you an auto loan, no matter if you have good credit, poor credit or no credit. If you have subprime credit, securing an auto loan is a fantastic way to raise your credit score with every monthly car payment that you make. We want to help you get on the road to improving your credit score, and what better way to do so than from the driver’s seat of a high-quality pre-owned vehicle. Don’t let auto financing stop you from shopping for a new-to-you car. Visit Sport Auto Group Pre-Owned Sales and Leasing Center for subprime credit financing today!